We were recently invited to a little girl’s 4th birthday celebration. Oooh! We were looking forward to it for weeks, but of course left the actual gift to the last minute! 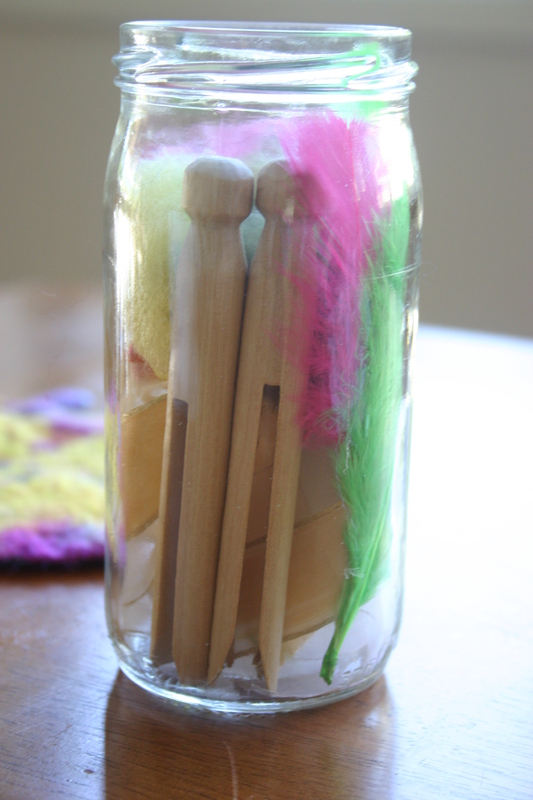 The intention was to make a fairy peg-doll to go with a little book of fairy poems from our own bookshelf that my daughter so generously wanted to gift her friend. However that same day we were also having my son’s 8th birthday celebration in the afternoon and in the preparations for that, the little gift was forgotten. 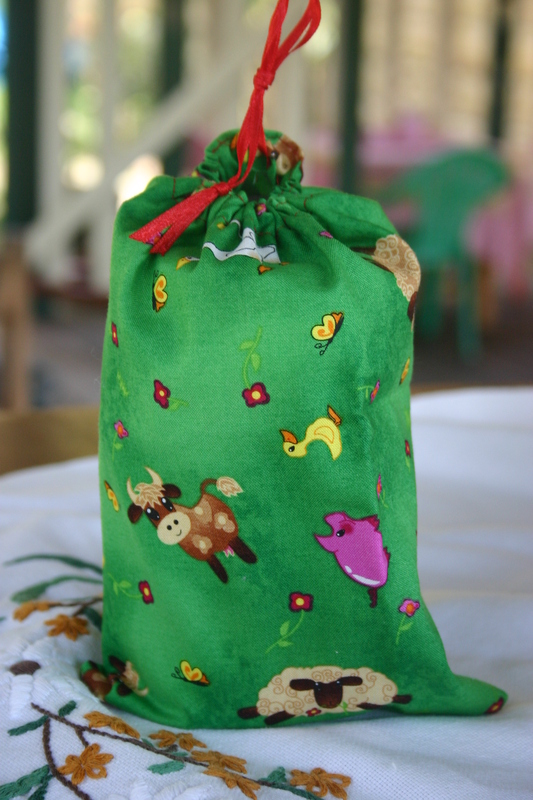 We like to wrap our gifts in little draw-string bags made from scrap fabric. These can be used again to hold all kinds of treasures and is part of the gift itself. What else could you put in a jar for a present? this is such a great idea. We have a 3rd birthday to attend on the weekend and the birthday girl may be a little young for this but I really love. Will definitely do it soon. Thanks for sharing.<3 . 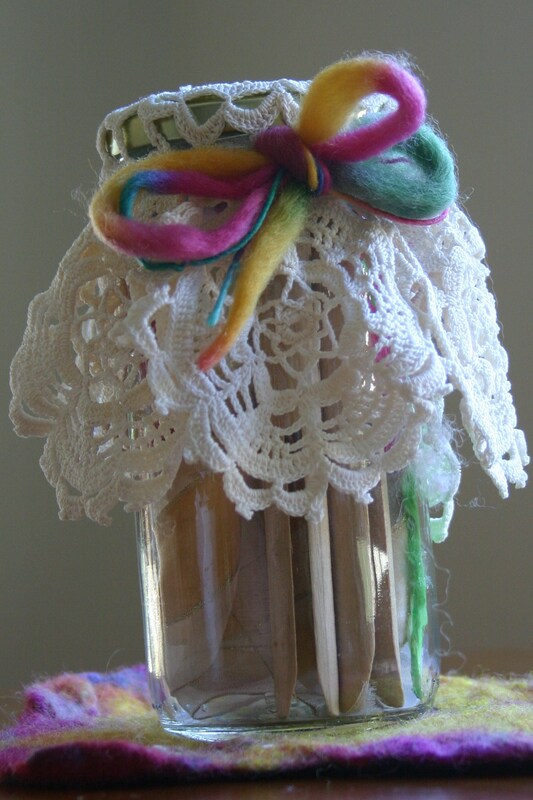 Also would you mind telling me where that beautiful yarn around the jar came from? Thank you! I think the yarn came from Spotlight. It was a scrap from my stash. Very creative. I know a four year old that will love this! Thanks!